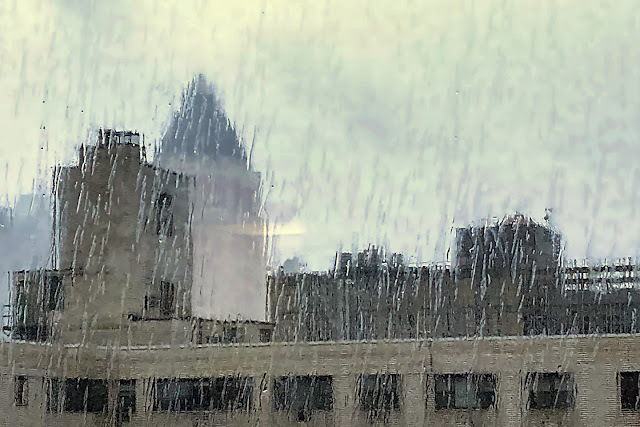 Here's another phone picture from my hospital room, as the dregs of Hurricane Florence drenched New York on Tuesday. I am released, though I remain undiagnosed. I will be spending a lot more time in the company of doctors over the next few weeks, and am hoping that they will either figure out what it is or it will go away -- permanently -- on its own.